LegiSource acknowledges and thanks the Legislative Council Staff for their significant input on this article. The Legislative Council Committee will meet Wednesday, Sept. 3, to review analyses of the four measures that the secretary of state has certified to the 2014 general election ballot. Two of the measures would amend the constitution: Amendment 67 would define “person” and “child” for purposes of the Colorado criminal code and wrongful death statutes; and Amendment 68 would allow casino gambling at horse race tracks. 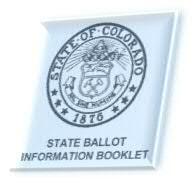 The other two measures would amend the Colorado Revised Statutes: Proposition 104 would specify that local school board meetings concerning collective bargaining negotiations or employment negotiations must be open to the public; and Proposition 105 would require the labeling of genetically modified food, beginning July 1, 2016. As required by the state constitution and by statute the Legislative Council Staff (LCS) has been working for weeks to prepare the analyses to help the public understand the purpose and effect of each measure. Following the Legislative Council’s review, the LCS will mail the analyses, printed in the familiar “blue book,” to each registered-voter household in the state. Also, the LCS maintains a blue book website – www.coloradobluebook.com – that includes drafts of the analyses and the text of each measure. The LCS prepares a blue book before each general election for which initiated or referred constitutional or statutory amendments or questions are certified to the ballot. The analysis of each measure includes a summary of the measure, the major arguments for and against the measure, and a brief fiscal assessment of the measure. The analysis may also include other information that can help voters understand the measure’s purpose and effect. Each analysis typically goes through three drafts. But, depending on the complexity of the measure and the time available, some may require only two drafts. The LCS meets with proponents and opponents of the measure and writes the first draft using the information provided by them as well as information obtained through the LCS’s own research. The goal is to write an analysis that is concise, readable for a layperson, and factually correct. •	Avoiding language that is more appropriate for the campaigns conducted by the opposing sides. •	For a measure that modifies the state tax laws, an estimate of the impact to the average taxpayer, if feasible. The LCS submits the final draft of each analysis to the Legislative Council Committee, which holds a public hearing to review the analyses. Anyone who is interested in testifying on the accuracy or fairness of an analysis may do so at this public hearing. The Legislative Council may change the language of an analysis upon a two-thirds affirmative vote of the council members. Before the public hearing, the LCS will post on the blue book website information for each analysis that includes the final draft, any amendments submitted to the final draft, a list of persons who had opportunity to comment on the last draft, and the text of the measure. Following the public hearing, the LCS will mail copies of the blue book to each registered-voter household in the state. This year, the scheduled mailing date is Oct. 3.